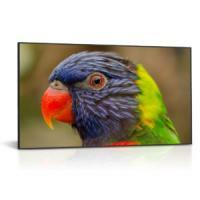 The DS752LR4 is an Ultra-HD 75-inch high brightness LCD featuring a 3500 nit sunlight viewable image. The DS752LR4 has been designed for large scale display applications in bright environments such as outdoor enclosures and storefront windows. With TrueColor™ Calibration, every screen is individually color calibrated to the D65 color standard for unparallaled color quality and ensures uniformity among multiple displays. The DS752LR4 features an integrated Android™ based media player with WiFi offering users a complete media platform, allowing playback of local files and USB/SD card media. Meer informatie DynaScan DS751LT4, 2.500 cd/m² 75 "
Meer informatie Dynascan DO751LR4 75", 3500 nits, U 75 "